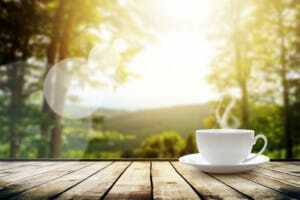 Cup of joe on table over mountains landscape with sunlight. Don’t you wish you could kick start your mornings? I find that NOTHING is more invigorating than a cup of coffee. Especially when it’s FREE! MySavings is inviting you to espresso yourself by voting in their BRAND NEW Facebook contest. You could have a chance to win a FREE $25 gift card to Starbucks or Dunkin Donuts. This Dunkin vs Starbucks sweepstakes even has the possibility to win an Amazon gift card. Wanna Know How To Snag Your Free Gift Card? Go to this page and follow their instructions. Finally, comment and share to help spread the message! MySavings plans to announce the winner on their Facebook page and site this coming Monday, May 1, 2017. Keep in mind that the winner MUST like their Facebook page to qualify.